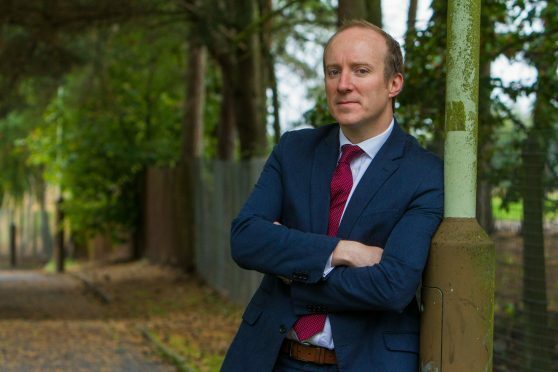 A Dundee councillor has called for plans for the city’s Waterfront area to be monitored by a remote CCTV team to be “reviewed urgently” after bosses admitted they were never consulted on the move. Lochee representative Michael Marra first raised concerns after learning the council’s Safety and Alarm Response Centre, the same team tasked with monitoring the city’s multi-storeys, will be overseeing crowds at the redeveloped Waterfront Place. He was invited to attend the centre in person to be given a first hand demonstration of its procedures and technology but said his fears were elevated further after management admitted they had no knowledge of the council’s plans. Mr Marra was reportedly told by officers the matter had not been discussed with them in any capacity, it is not currently part of their planning, and that any such move would be a concern given the significant departure from their current work. The Lochee councillor said that as Waterfront Place is being developed into an outdoor playpark, this would “clearly” fall within the remit of Police Scotland to monitor. He questioned whether staff will be trained on the appropriate skills. Mr Marra said: “Ensuring public safety and order in open spaces is the job of Police Scotland. “Dundee City Council’s budget is being slashed year on year by the SNP. The council simply cannot afford to be taking on the jobs of the police. “Our council officers do not have the training and skills to monitor large public crowds. For the SNP administration to be instructing them to do so is totally inappropriate. “The fact that senior managers of the council’s Alarm Response Centre knew nothing about this proposal before the SNP brought it to committee is very worrying indeed. Mr Marra said the centre is for “the protection of residents and staff” and should not be being used to monitor large crowds in open spaces. However, he conceded the “significant opportunity” to clamp down on drug dealing from flatted properties in the Dundee multis if the security system is used in co-operation with Police Scotland for this purpose. The Courier reported earlier this month how some residents feared for their safety after waking up to smashed windows and “carnage” carried out in CCTV blackspots the morning the new rapid response service was introduced. The scheme currently involves a centralised security team who rely on camera footage to monitor blocks in Lochee, Hilltown, Dryburgh and Dudhope.